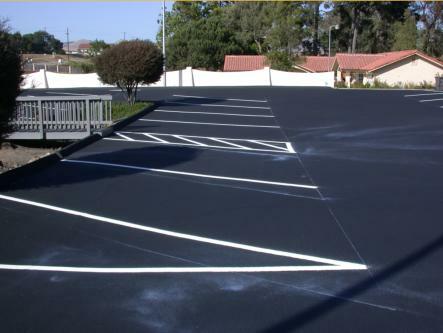 A mixture of asphalt cement, water and emulsifying agent (free flowing liquid at ordinary temperature). These three constituents are fed simultaneously into a colloid to produce extremely small globules (5-10µ) of asphalt cement, which are suspended in water. The emulsion contain about 50% - 65% bitumen. It has advantages in construction, particularly which is used with moist aggregate or in wet weather. Has low viscosity at ambient temperature, it generally can be used without additional heat. 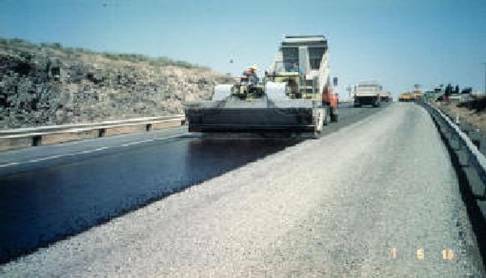 The slurry seal shall consist of a mixture of an approved emulsified asphalt, mineral aggregate, water, and specified additives, proportioned, mixed and uniformly spread over a properly prepared surface as directed by the Buyer\'s Authorized Representative (B.A.R.). The completed slurry seal shall leave a homogeneous mat, adhere firmly to the prepared surface, and have a friction-resistant surface texture throughout its service life.